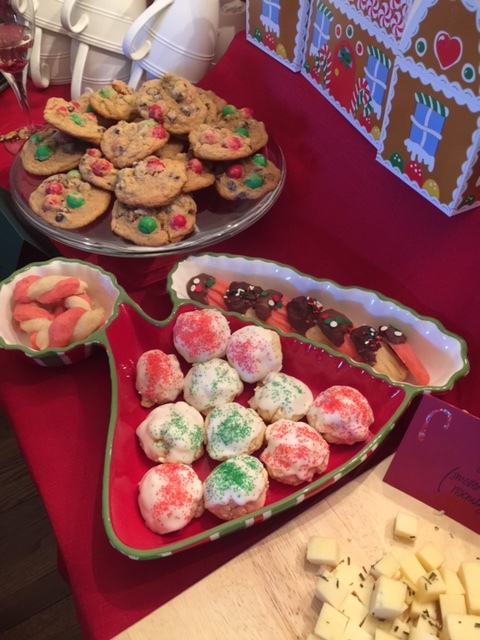 Reindeer Bubbles, Hot Cocoa Bar, and Cookie Swap! 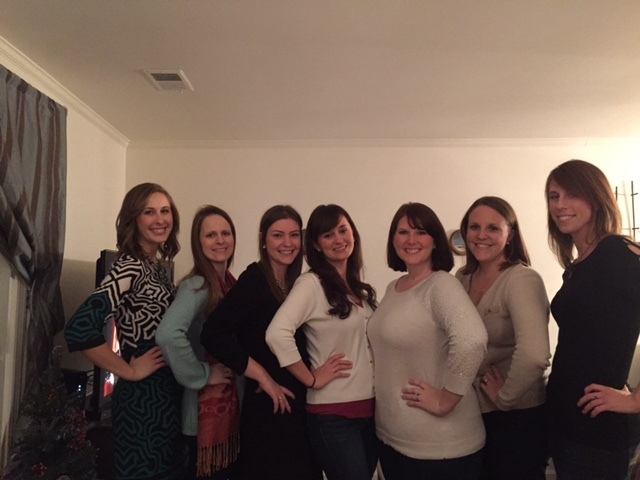 Our first year of Sips & Sweets is coming to a close, and we decided to end the year with a Christmas Cookie Swap party with our best gals. We planned our menu with a secret board on Pinterest–we’ve decided that’s the best way to plan a party so your guests are surprised when they arrive. We also used Evite to create an invitation for our friends and asked each girl to bring a plate of their favorite cookies to share. Everyone received a gingerbread box to take home the swapped cookies. 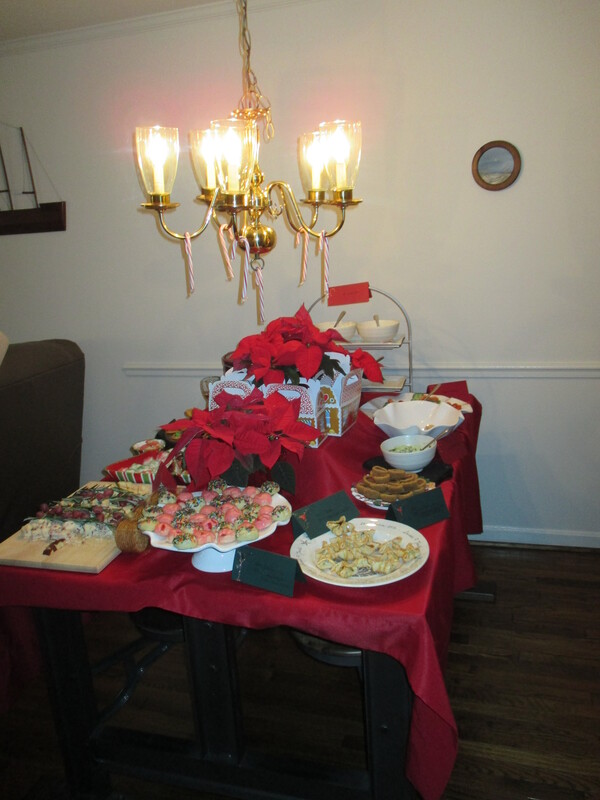 Read on for all the fun details about our party and recipes from each of our guests to jumpstart your holiday baking ideas! 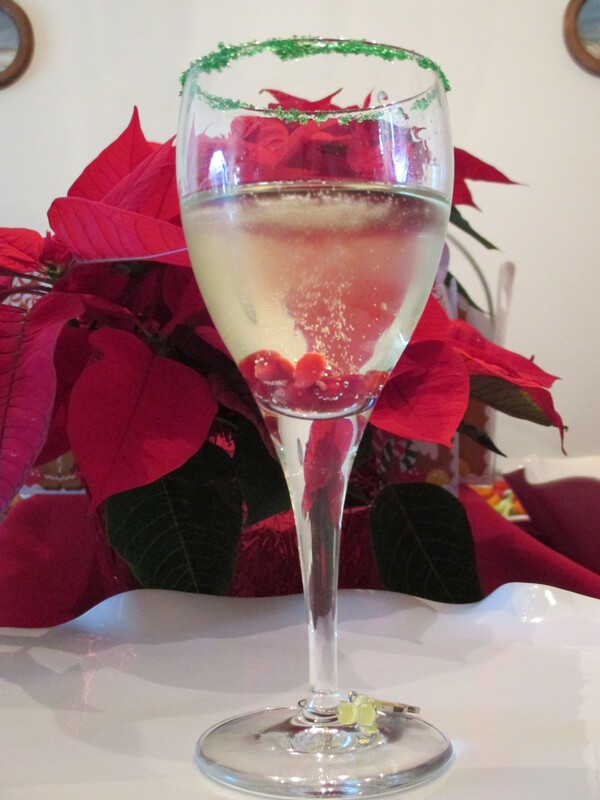 Reindeer Bubbles: sparkling wine with green rimmed glasses and pomegranate seeds. Recipe here. Pour sparkling wine in the glass and cheers! Trader Joe’s Spinach and Artichoke Dip: This is some of the best spinach artichoke dip we’ve ever had, and it was so easy to make! It’s in the freezer section of TJs. We served it with baguette rounds. 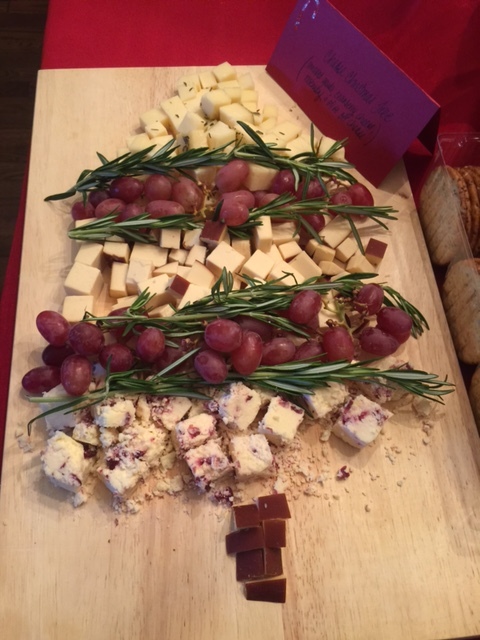 Christmas Tree Cheese Tray, which included asiago with rosemary and olive oil, smoked gouda, and white stilton with cranberries. 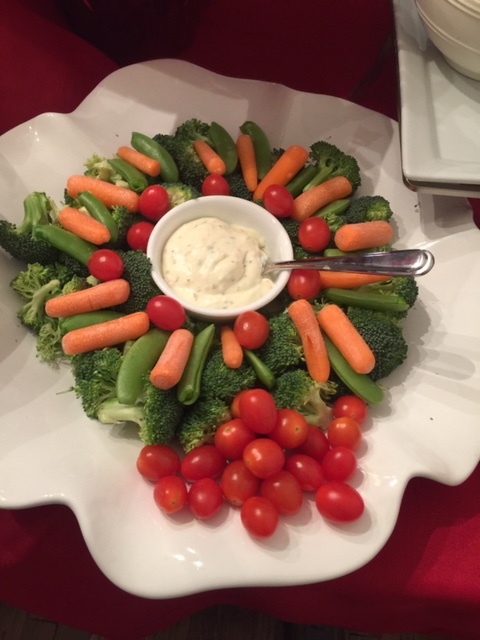 Christmas Tree Veggie Wreath and dip. Decorate Your Own Gingerbread Man: We used the help of our BFF Betty Crocker to make the gingerbread dough, and provided icing and sprinkles for each guest to decorate. 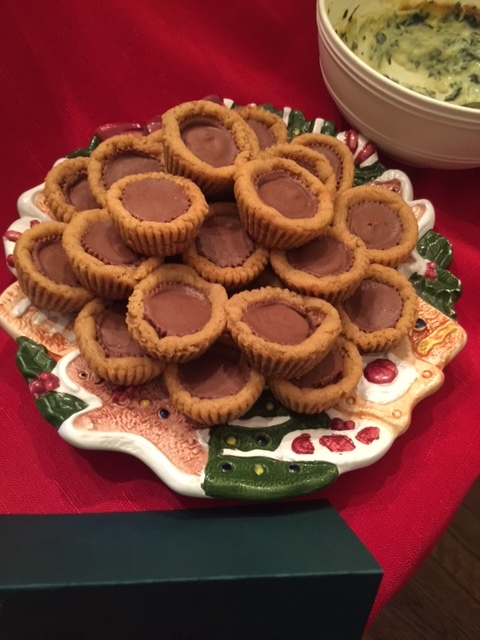 Caroline brought Peanut Butter Blossoms with Reese’s Peanut Butter Cups. Recipe here. 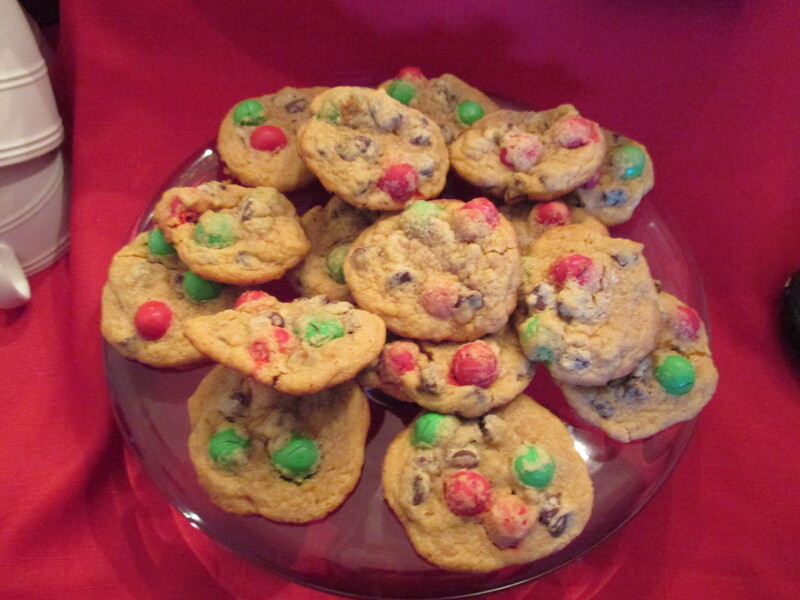 Colleen made her specialty: Pretzel M&M cookies. Recipe here. Erin brought Lemon cookies and chocolate dipped butter cookies. Her recipes are below the picture! Combine the following by hand, mixing wet ingredients into the dry ones, ultimately kneading with a fork or by hand. Bake for 12-15 minutes at 350. Once cool, glaze the cookies. Best to put wax paper underneath the cooling rack to catch drips. Mix to a good consistency. Mix all ingredients. Chill briefly but not necessary if no time. Shape dough into small logs and lightly press fork into each. Bake for 10-12 minutes at 350. Cookies will be very fragile so be careful transferring from pan to cooling rack. Once cool, melt 1/2 bag of semi sweet chocolate chops with 1 tbsp shortening over a double boiler. Dip cookies and place on wax paper to harden. 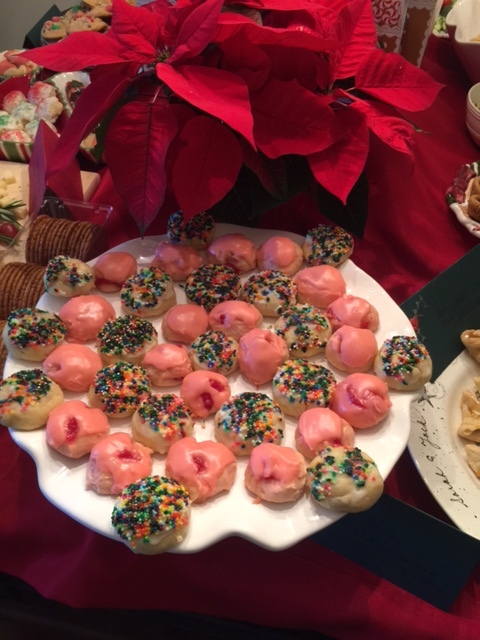 Marci brought Italian Cookies and Cherry Italian Cookies. 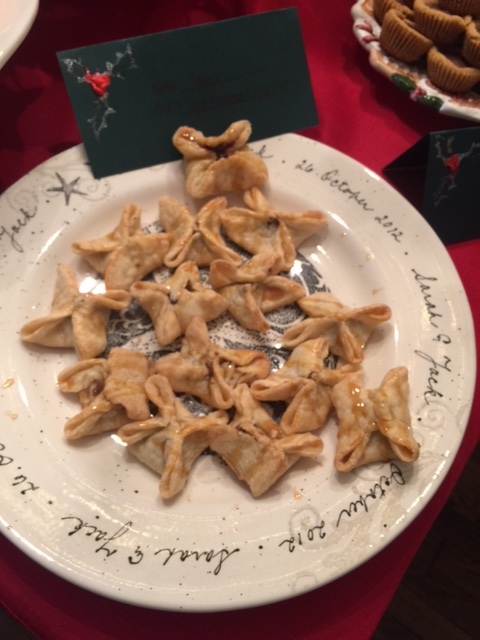 Sarah made salted caramel kiss pies. Recipe here. 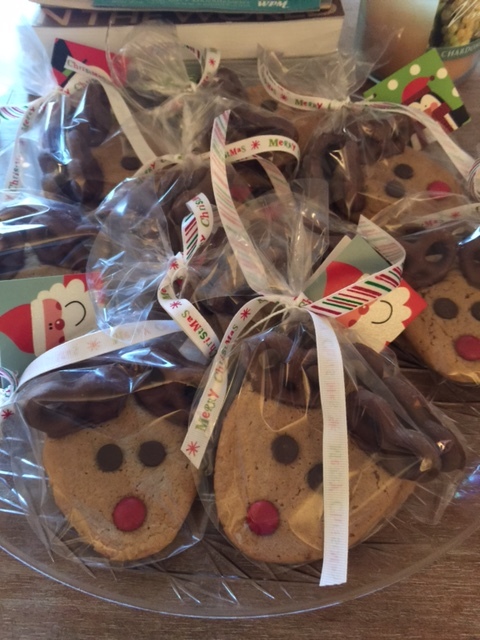 Patti brought Peanut Butter Reindeer in adorable packages! Recipe here. Ellen brought some delicious Apricot Snickerdoodles from Bread & Water Company. We can’t wait to see her new kitchen renovations soon! 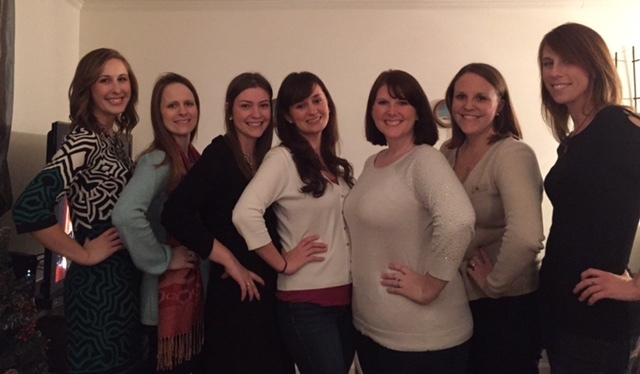 We toasted to a fun, sips & sweets filled year of sharing our baking and sipping tips with our friends and you. Thanks for reading and sipping along with us! 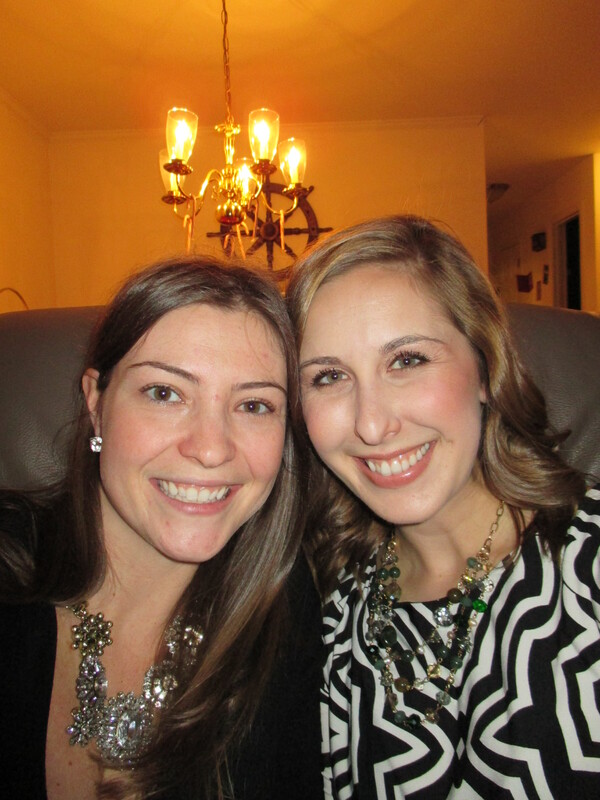 Cheers to 2015!